At Patt Veterinary Hospital, we pride ourselves with always searching for new ways to care for your dog especially where pain is concerned. 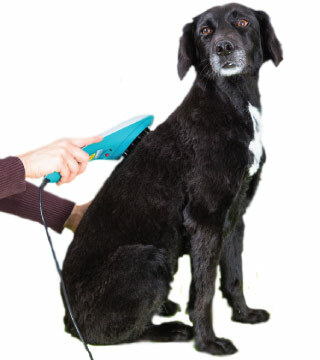 Veterinary laser therapy provides a non-invasive, pain-free, surgery-free and drug-free treatment that is used to treat a variety of conditions, and can be performed in conjunction with existing treatments. Laser treatment for dogs employs deep-penetrating light to promote a chain of chemical reactions known as photobiostimulation. This process helps relieve pain through the release of endorphins, and it stimulates injured cells to heal at an accelerated pace.